Home to Win, the smash hit original series, returns to HGTV Canada offering Canadians the opportunity to compete to win for a life-changing prize – a masterfully designed, fully-furnished waterfront home featuring North Star Windows & Doors. This season, HGTV Canada is bringing together 30 of the best-known celebrity builders, designers and real estate experts to pool their extraordinary expertise, creativity and reno know-how. As the official product supplier of windows and doors for the show, North Star has provided a selection of our most popular 1000 Window Series and Patio Sliding Doors. With our commitment to manufacturing high quality and energy efficient vinyl windows and doors, we know that the lucky winner of Home to Win Season 2, will enjoy their new home as long as our products last – a lifetime. 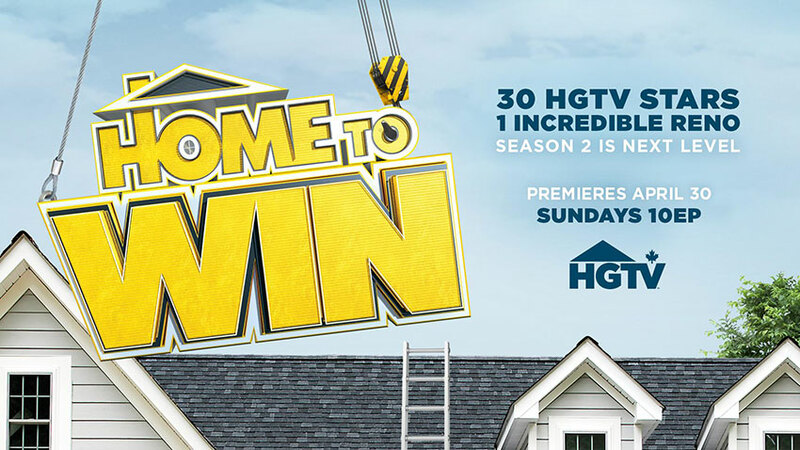 We’re proud to be a part of Home to Win Season 2 on HGTV Canada, premiering April 30th, 2017 at 10pm EP. For more details about the show, our featured products and how you can audition to compete to win a newly renovated waterfront home, designed and built by HGTV Canada’s biggest stars, visit HomeToWin.ca. HGTV is a trademark of Scripps Networks, LLC; used with permission.